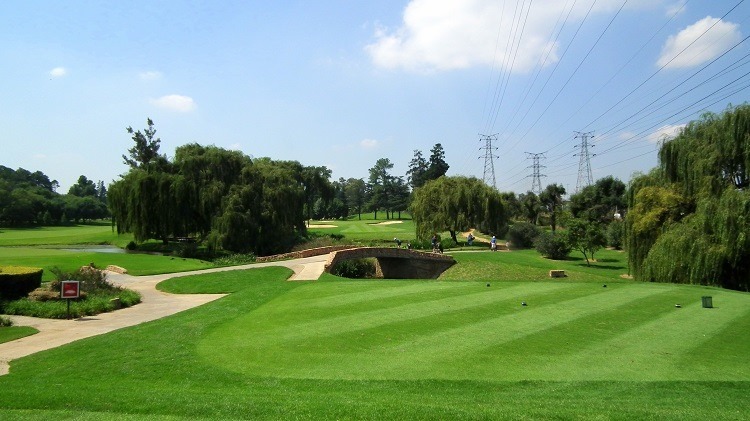 South African Golf Open.. Glendower the host.. 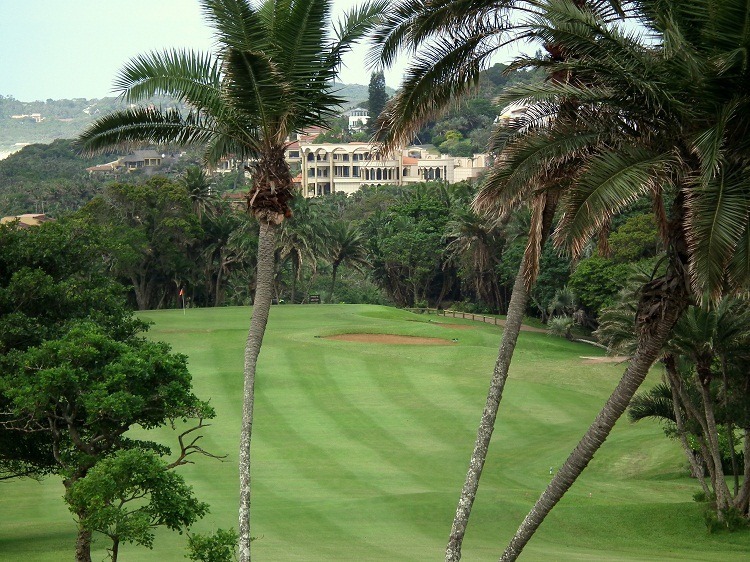 The South African Open Championship is one of the oldest national open golf championships in the world. 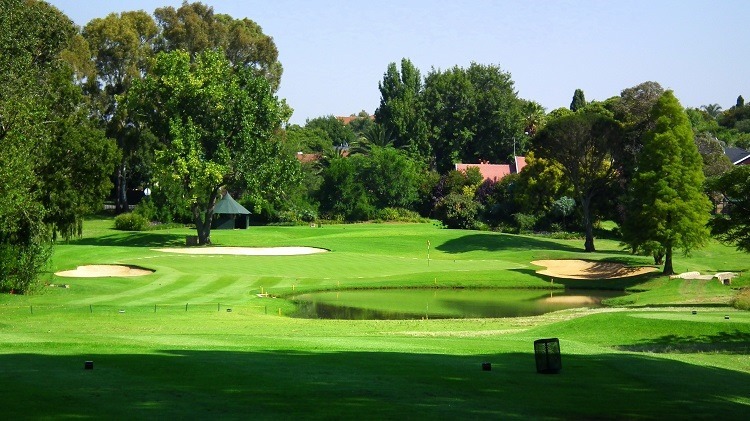 What a course for the South African Golf Open to be played on, a good test for the players, an exceptional course for the spectators, in general I can’t think of a better place for it to take place… Glendower is no spring chicken itself… 7th March 1937 it was officially opened… and two years down the line it held the Transvaal open that was won by the famous Bobby Locke.. 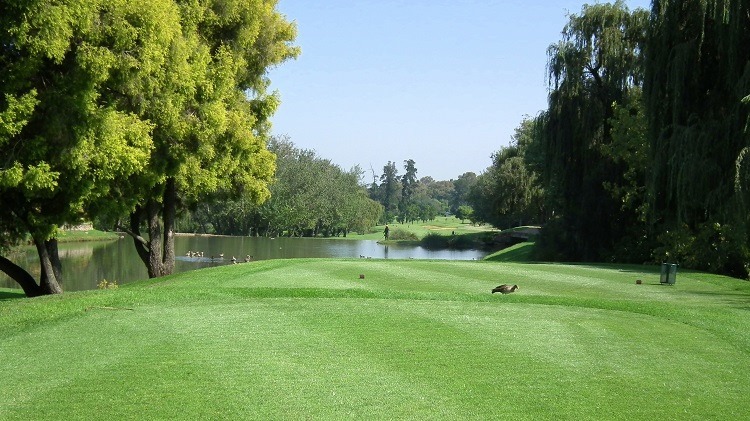 The course saw a major revamp in the 1980’s and has held a high position on the Golf Digest top 100 for many years. 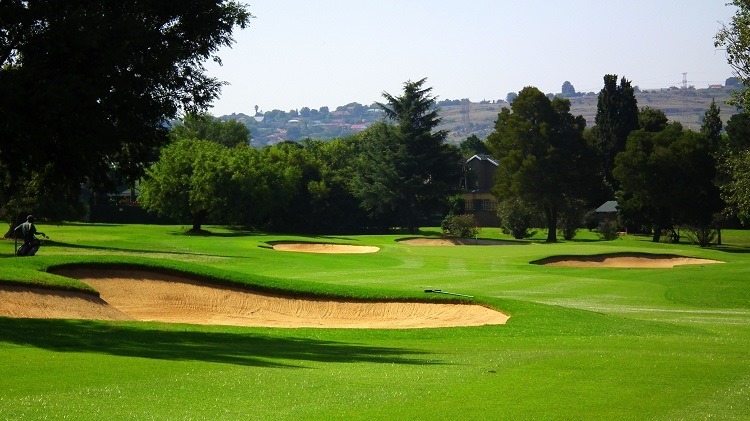 Host to the S.A Open in 1989, 1993 and 1997 it is now about to see it’s fourth Open and well deserved I think. The Championship is to be held here again next year, I wonder how many clubs can say they have hosted the Championship 5 times? 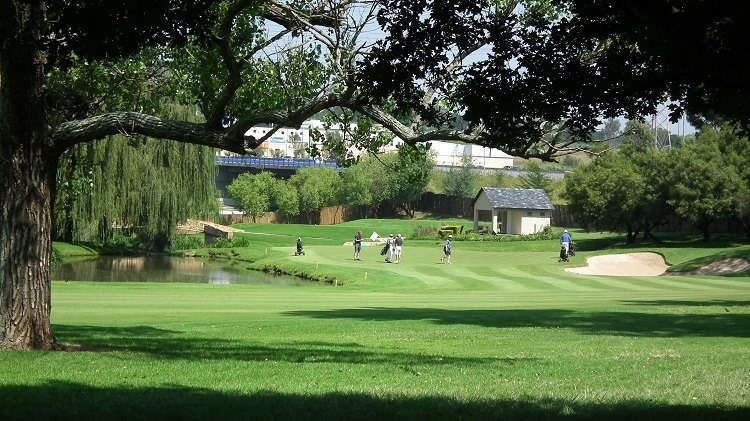 This years S.A Open is recorded as the 103rd time it is being played… quite a record. “terratry” A pain pill or an vitamin? 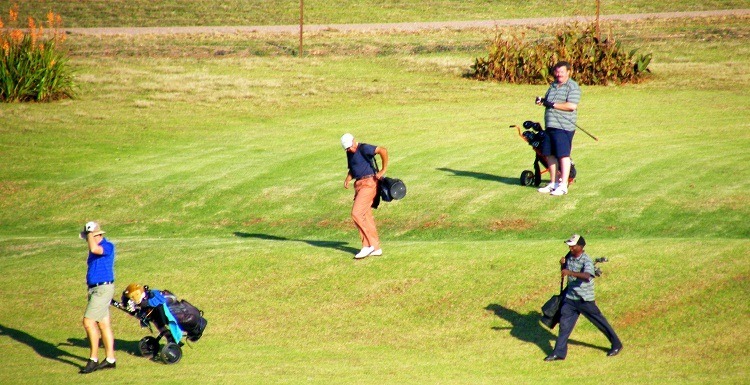 “terratry” is software designed for analysing expenditure on the golf course. 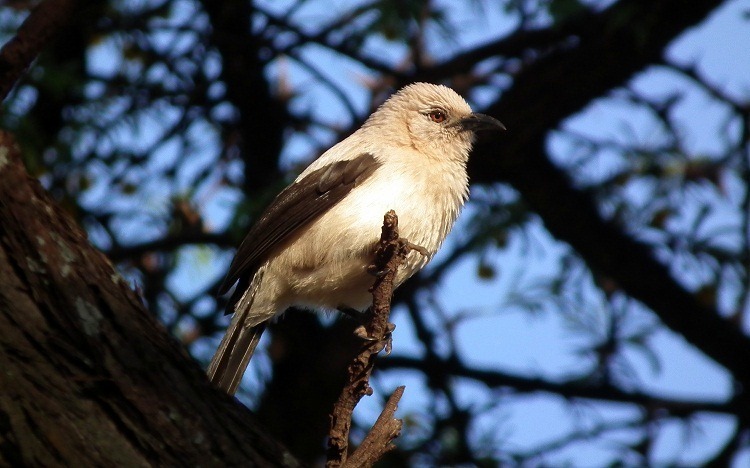 An analogy used by software designers about software; is the software you’re about to purchase to cure a pain, or to ensure good health in your business? I had never thought of software in this way and promptly looked at ours in a different light; was “terratry” a pain pill or vitamin? Was it designed to solve a problem, cure a pain, or was it to ensure good health? I came to the conclusion it was for both; it can solve headaches as well as ensure good health, a bit of both; so what do we call it? A pain pill gives relief and makes one feel better but, it does not ensure good health. A vitamin is good for you but, it also cannot ensure good health. The “terratry” pill however, can cure pain and ensure good health. Used correctly it cures the pains of overspending, incorrect spending or not knowing where you are spending. It can also ensure good health by empowering the monitoring of expenditure; the “where’s it going” scenario is negated. It also allows for the interpretation of how to improve performance in the future, ensuring good health. So where does “terratry” fall within the software designers analogy? 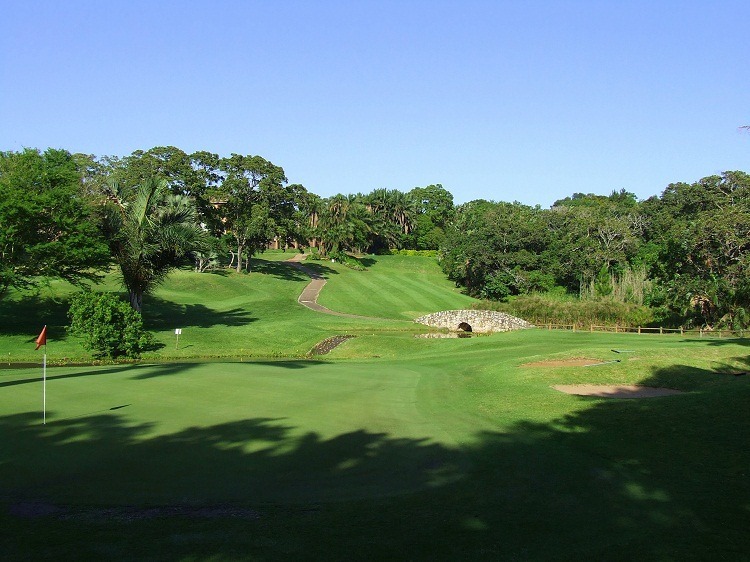 I’d say we have a “cure all” pill, one of those miracle pills sought by all, which will cure the aches and pains of the golf maintenance business, as well as one that will ensure its good health. 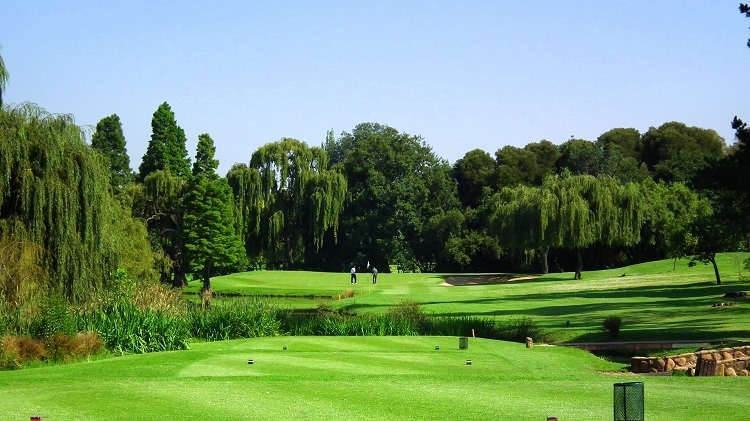 This is the number one rated course in South Africa, and a visit shows why it has that status. 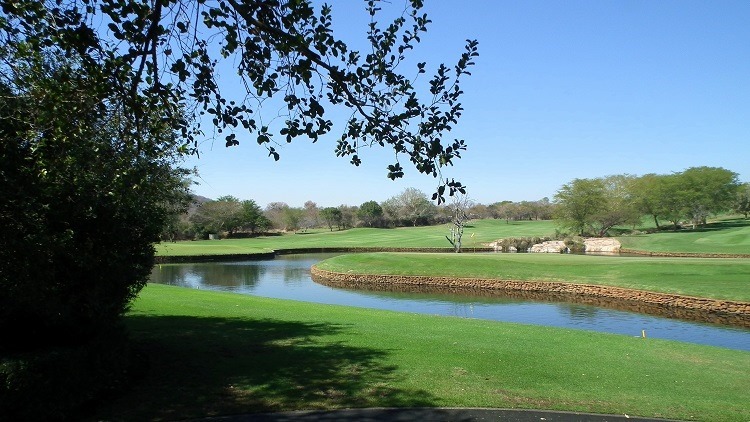 The course is described by their own website as: “Leopard Creek has grown out of the vision of a banker and skills and expertise of one of the world’s great golfers.” Referring of course to our own Gary Player who designed the course. 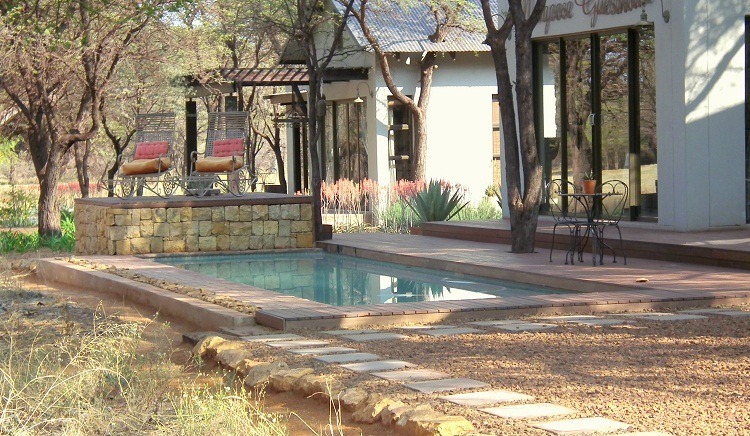 The location is describe thus, also from their website; “Situated near Malelane in the heart of Mpumalanga, on the southern border of the Kruger National Park. 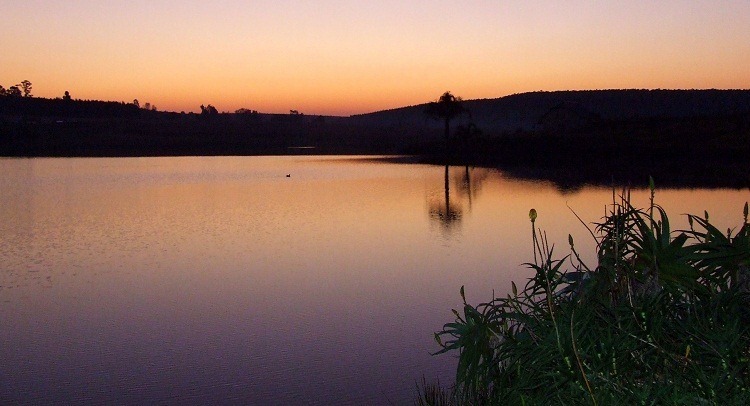 The 360 hectare development is bordered to the north and the west by the picturesque Crocodile River and the Kruger National Park. 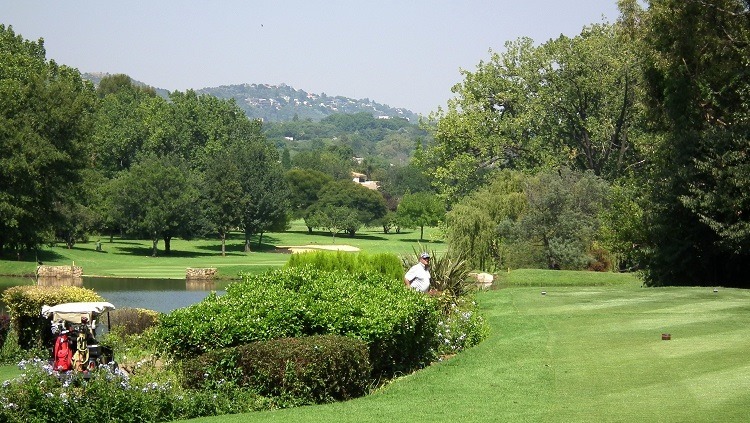 Typical bushveld koppies overlook the course from the east, providing an ideal backdrop for a magnificent course.” Now to border on the Kruger and have the natural game walking free within the grounds, makes this one very special place. 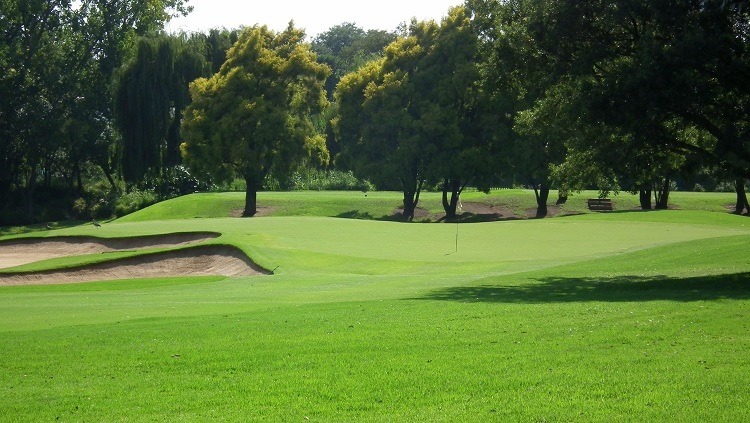 A few photos of the eighteenth green and surrounds…. 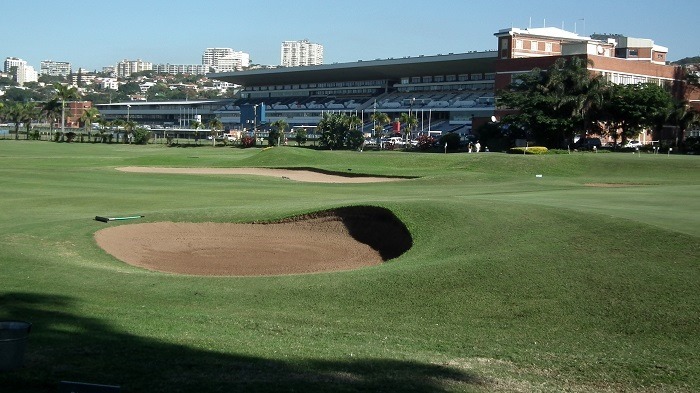 Now this is an interesting Course, set in the middle of the Greyville Racecourse. 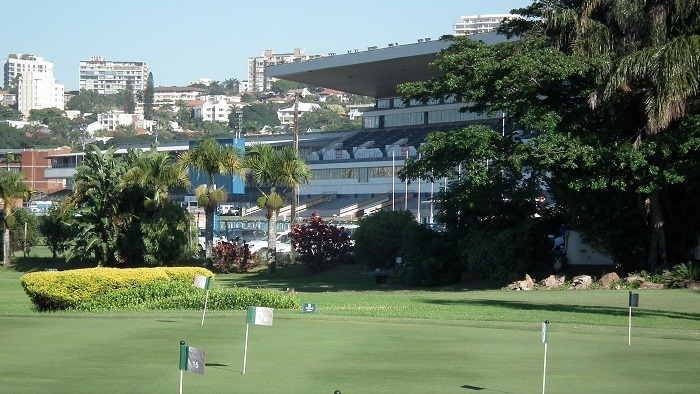 Can you imagine playing Golf on a Saturday and having the horses racing past next to you, or the crowds screaming for their favourite horse? 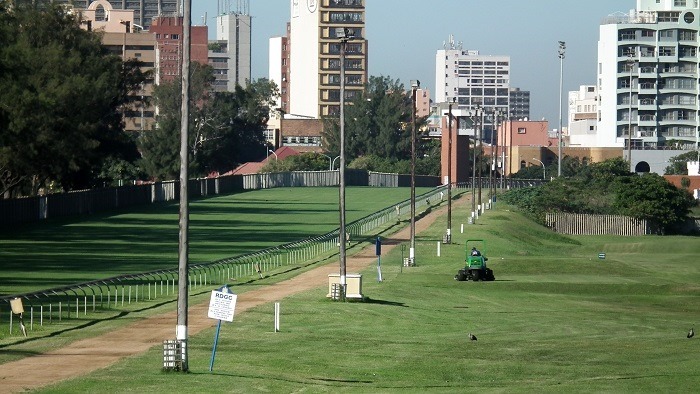 A view of the Main Grandstand of the Greyville Racecourse looking across the practice green. 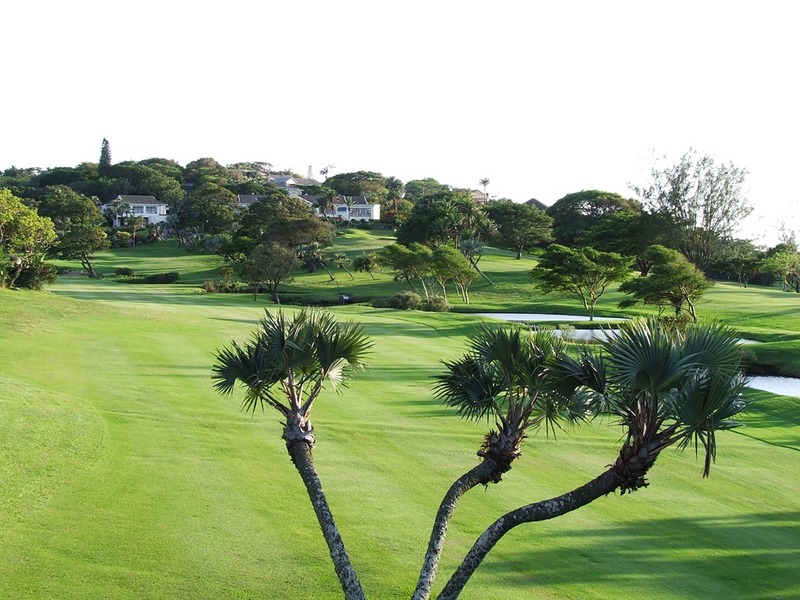 From the Courses own website I impart a little history of the Club. 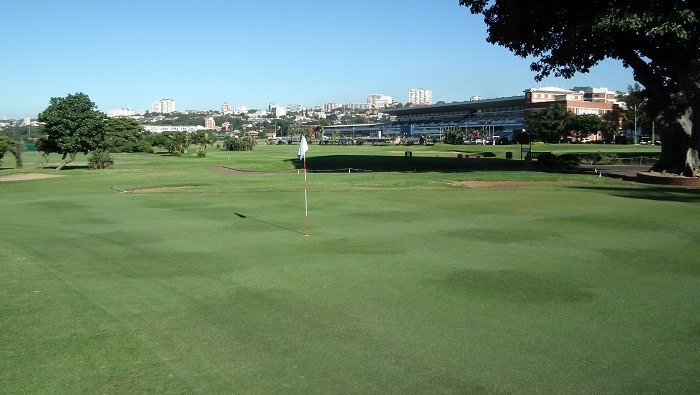 Royal Durban Golf Club was first established in 1892 as the Durban Golf Club, after Mr John Watt (a local bank manager) approached the town council about creating a golf club in Durban and was granted permission to lay out a links design course on the grounds within Greyville Racecourse. 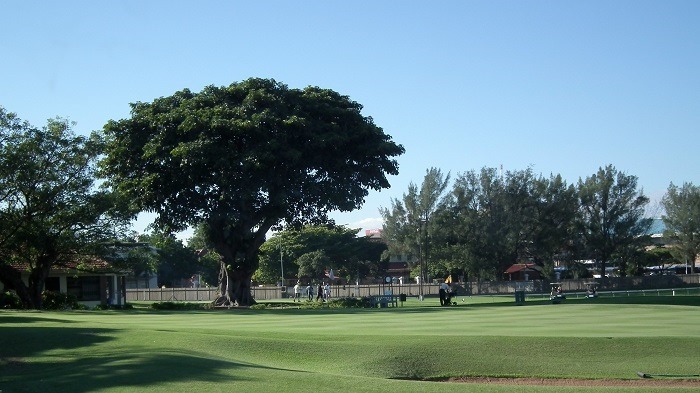 One of the proudest moments in the history of the club was on April 8, 1932 when (following a visit from Edward VIII, the then Prince of Wales, in 1925) Durban Golf Club was granted permission to use the prefix “Royal” by King George V, making it one of only four golf clubs in southern Africa to obtain this honour. 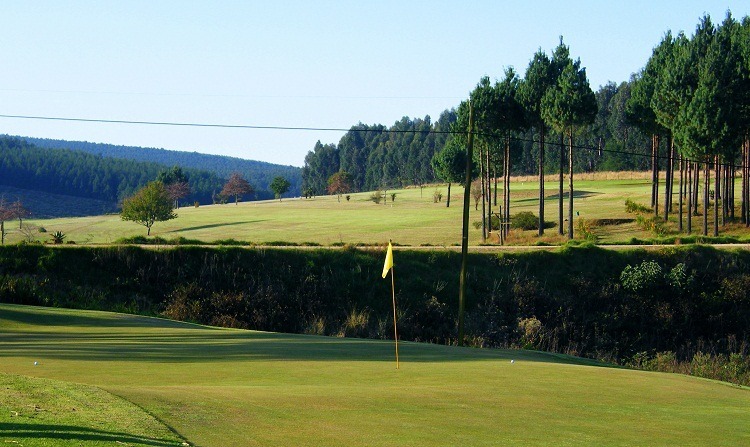 I say it is one of the “gems” of the South African Golf Clubs, presently in the “Gold Digest” Magazine’s top 100 rated courses, ably looked after by a top Green Keeper or “Garden boy” as he likes to be called. 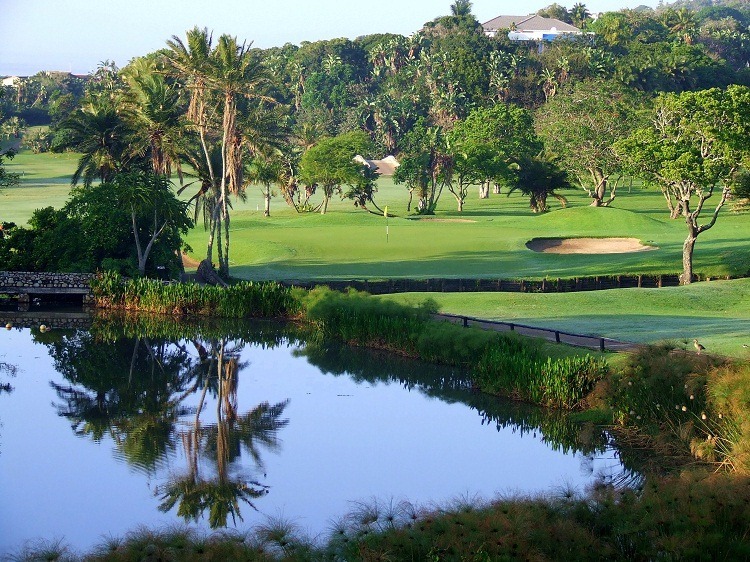 The course is a Gem and should you find yourself in Durban contact them and play 18 holes, you won’t be sorry..
A GREAT COURSE TO PLAY….. 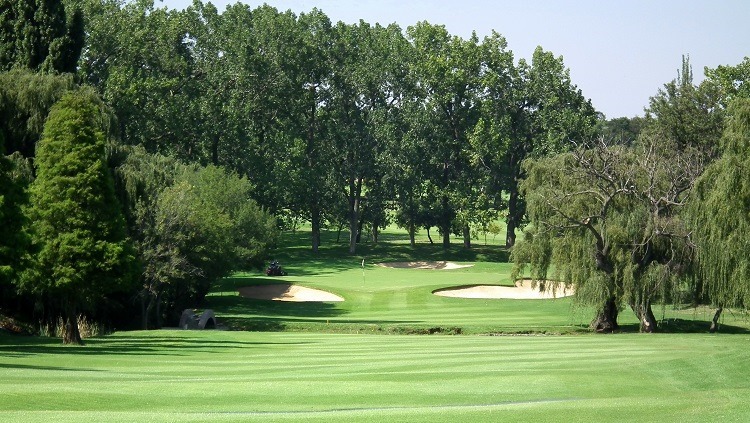 The Bulldog..
St Catharine’s Golf Course. 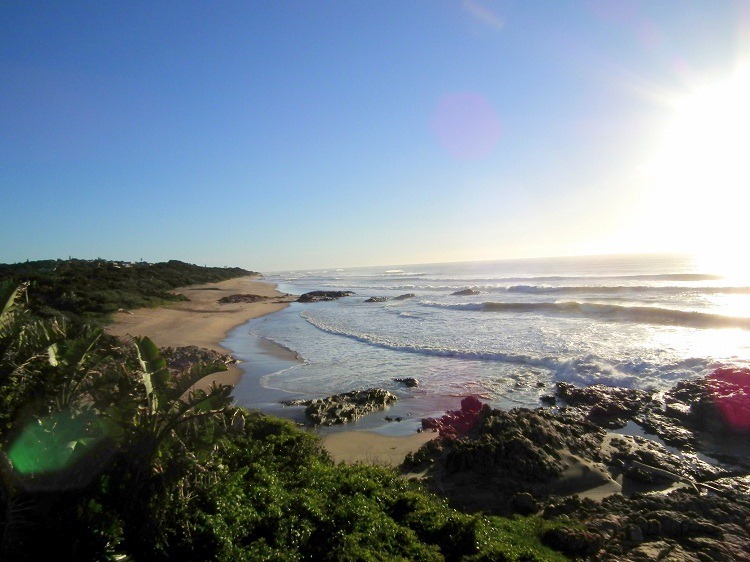 KZN. 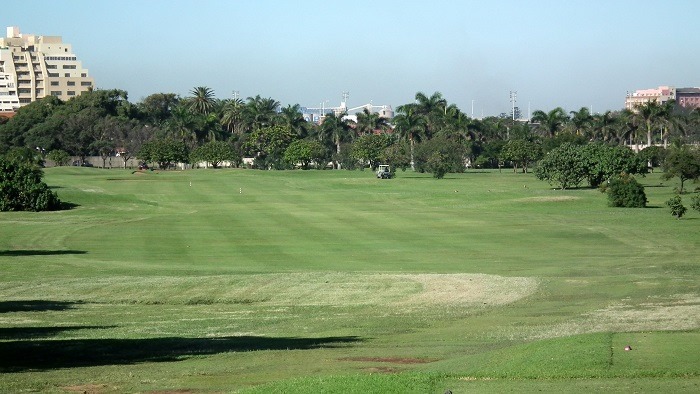 Now this is a Golf Course with a difference… Piet Nel the owner of the ground, decided to turn old corn or mealie lands into a Golf Course. 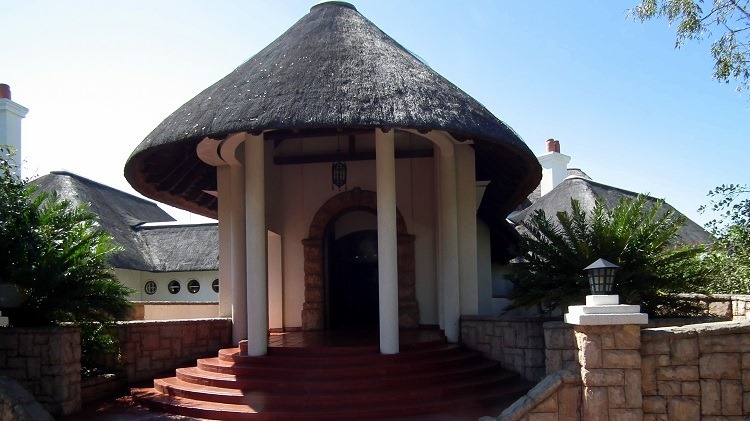 It is situated within 100 km. 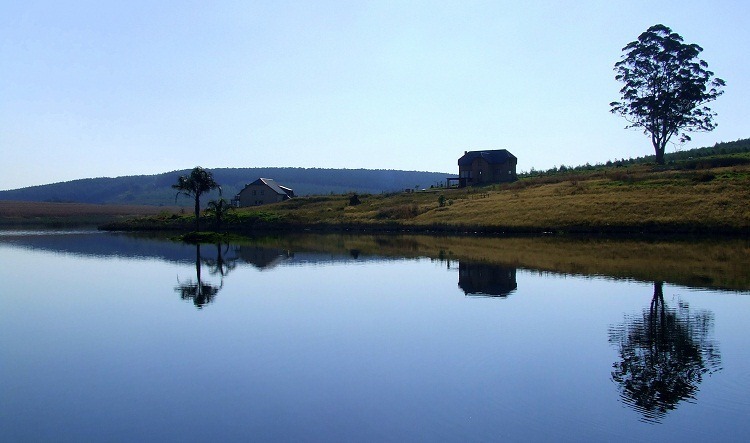 of Ballito, Pietermaritsburg and Mooi River, situated in the Natal midlands.. not far from anywhere and a lot closer than you think.. 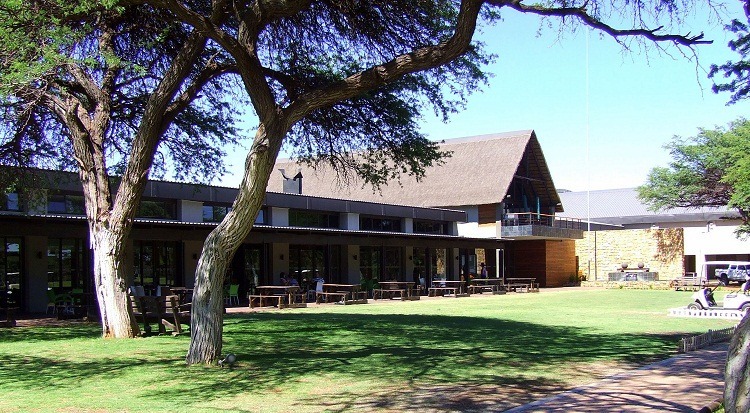 The club house a very welcoming place, always full of locals and lots of fun, you can even toss a hook into the water and try your hand at landing a fish.. either Bass or Trout..
Sishen Golf Club, or Kalahari Country Club. 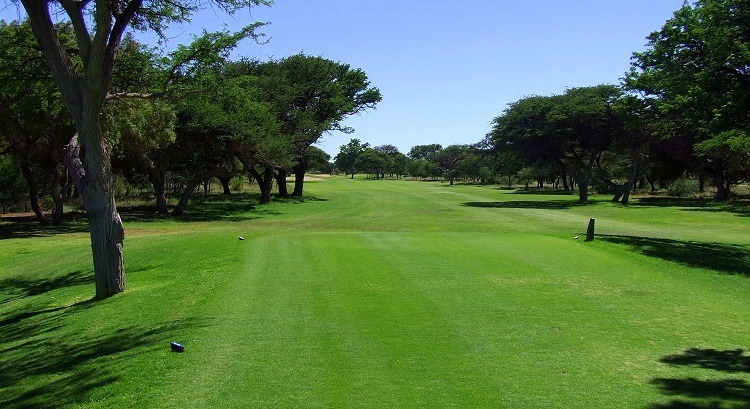 A visit to Sishen where my Son lives has had me photographing and playing this course on a regular basis…..
A wonderful club house greets you, with a restaurant, Ladies bar and lounge, members pub, and a lovely big stoep where braais and socialising takes place on a regular basis.. 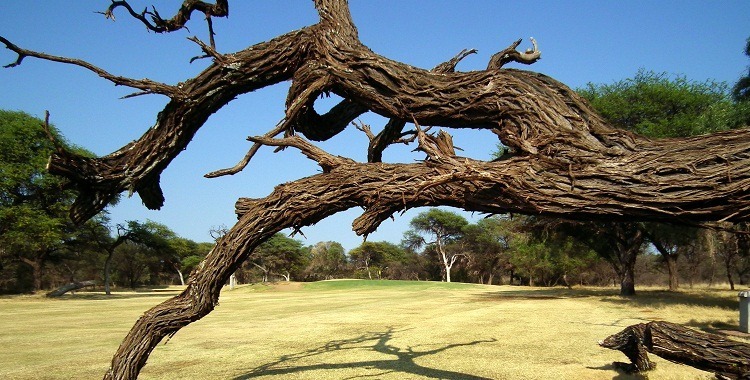 The course is built within a Camel thorn forest, a protected tree, so unless a permit is obtained even a dead tree may not be touched… apart from this being a hazard if you play off line it certainly adds to the beauty of the course..
Now for some of the views of the course… a tough course, with great greens that run true… they have some problems but when you consider you’re in the Kalahari….. semi desert…. 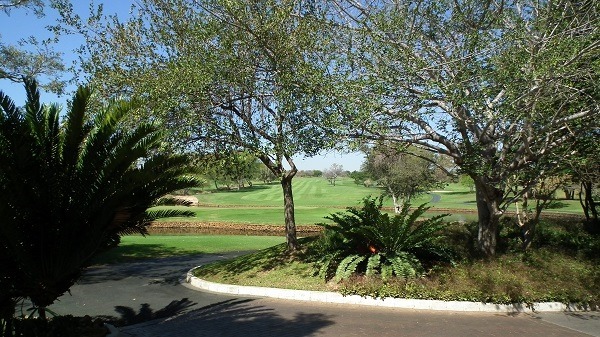 the course is wonderful.. 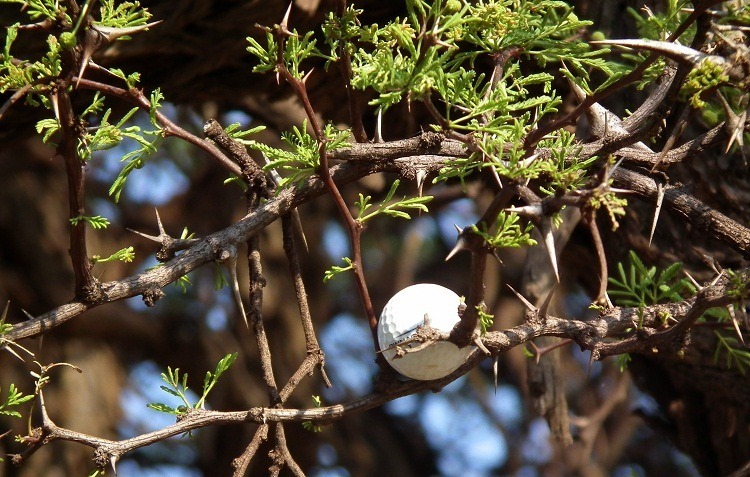 The Camel Thorn tree can be a great hazard…. strike one and get a thorn in the ball, throw it away. 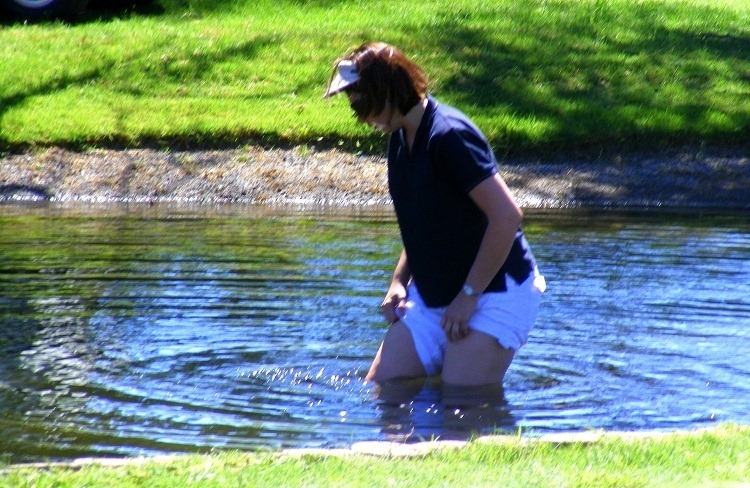 But it also has a habit of retaining your ball if it wants too…. 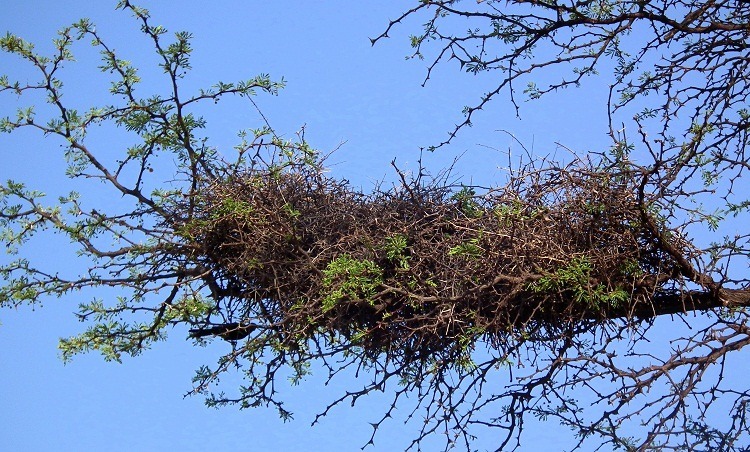 That is in this tree…. 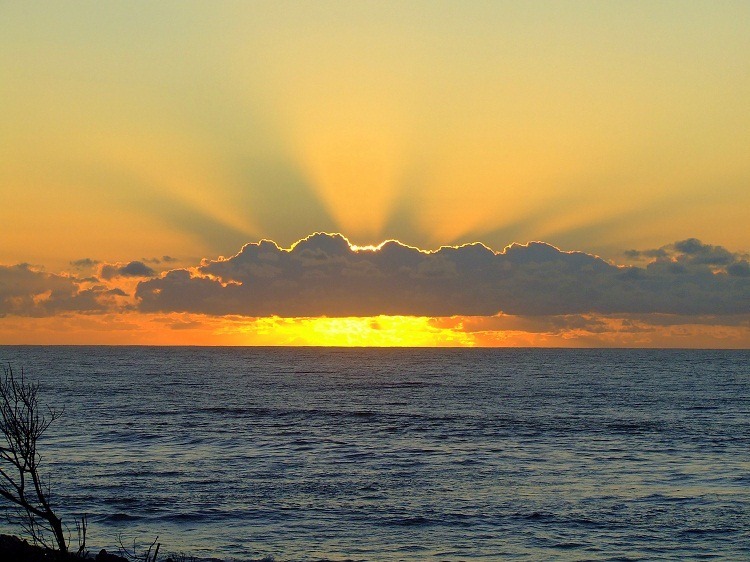 way out of reach….. 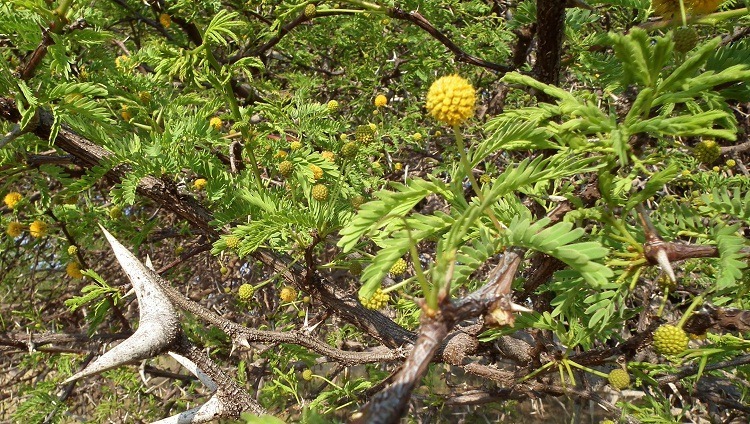 The tree is in flower at the moment and I took this photo so you get an idea of the thorns and flowers.. 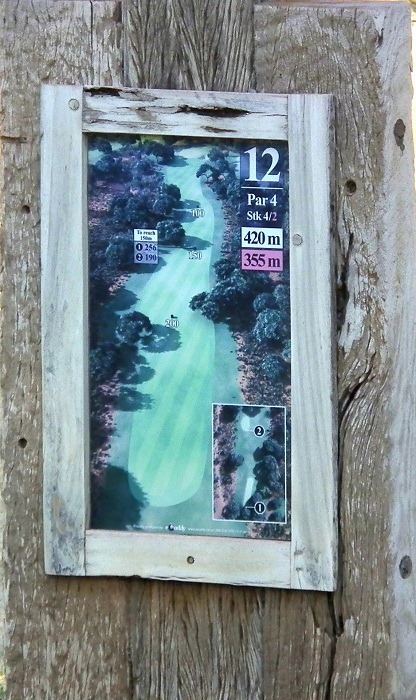 I love the signage that the course has… the pictures are mounted on old Railway sleepers… the red-billed buffalo weavers nests, adorn many of the thorn trees…. Watch out for the wild life and birds… there are some magnificent opportunities to photograph them.. look at my other blog to see some of what I have captured here…. 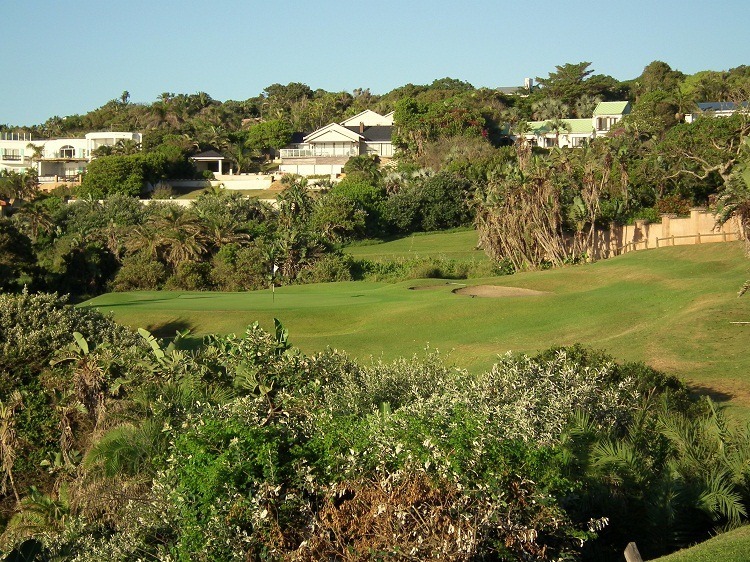 Southbroom Golf Course.. A jewel on the Coast. 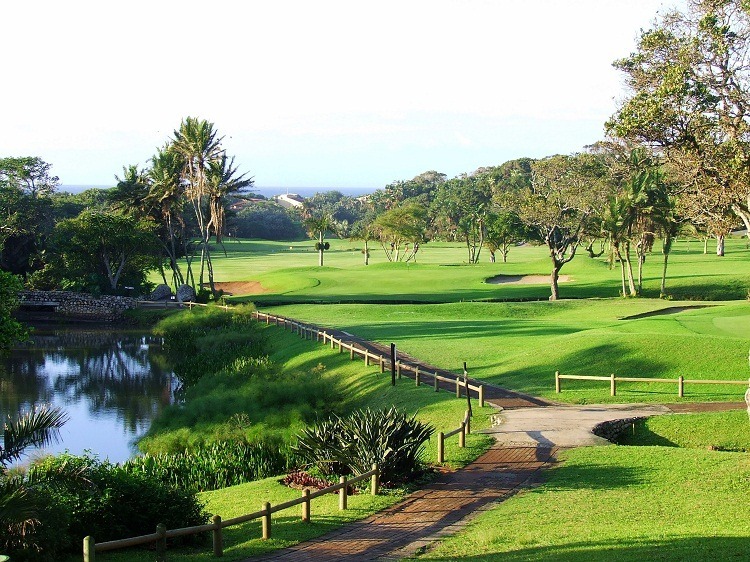 Southbroom Golf Course, situated on the South Coast of Kwa-Zulu Natal, South Africa, is a definite jewel. A shorter course but boy the wind can eat you. 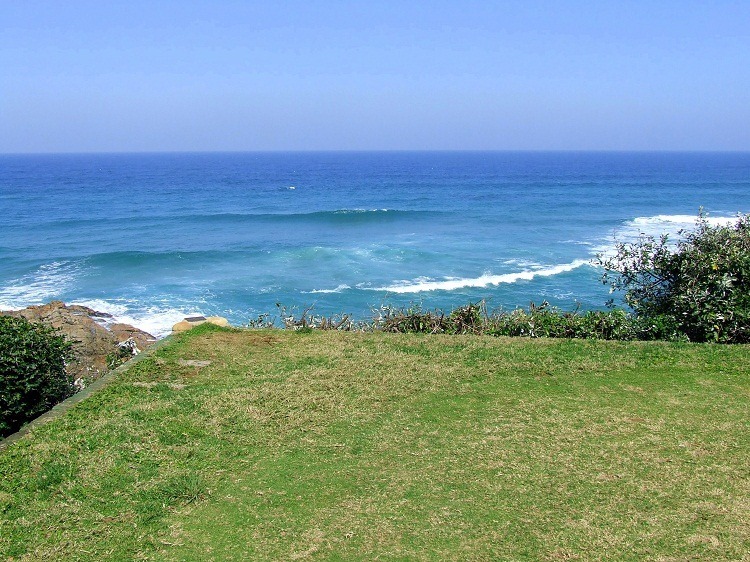 The fourth hole on the coast line, with a tee box that the waves break on to, can differ during the day with the winds change of direction. 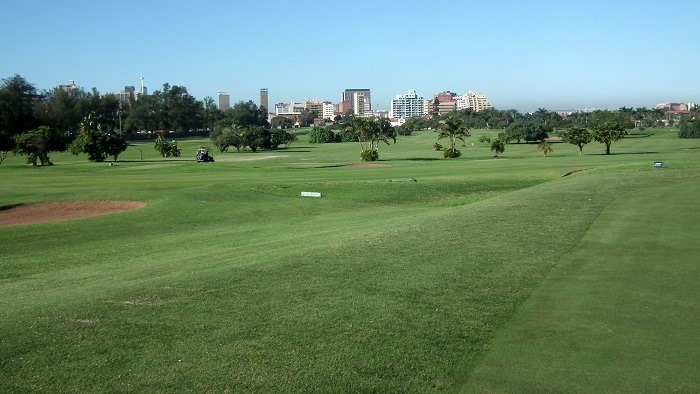 A mere 100m can change four clubs from the morning to the afternoon. 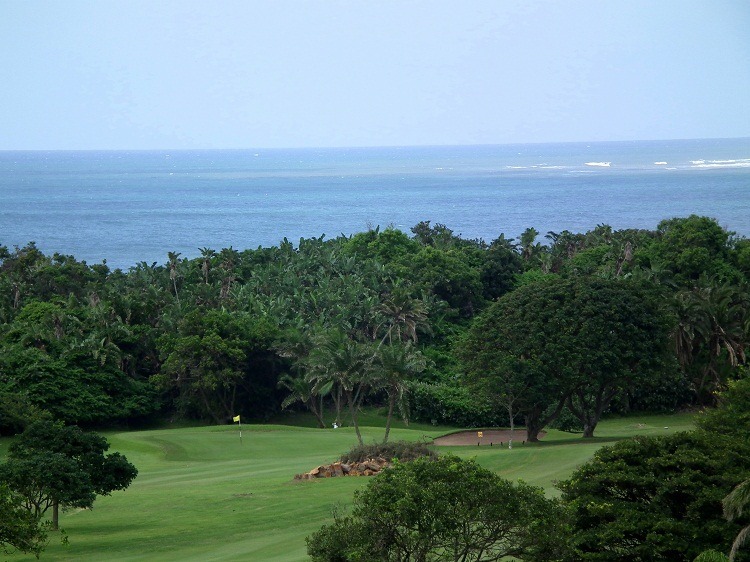 A course set in amid the coastal belt, surrounded by private homes, gives beautiful views of the sea at different holes. 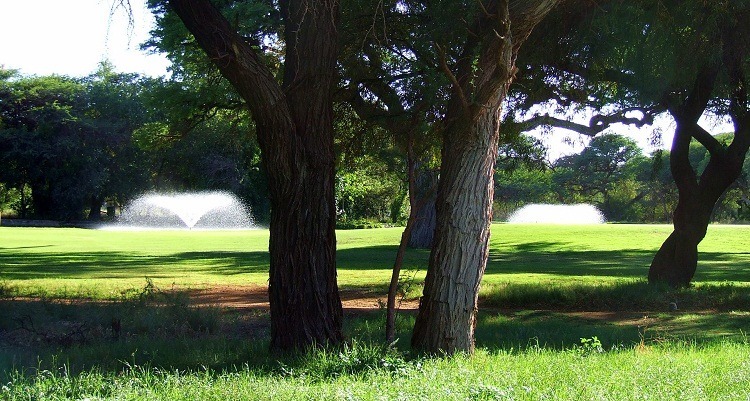 Water, water, everywhere, keeps one seeking straight shots down the fairway..
A view from the club house…. 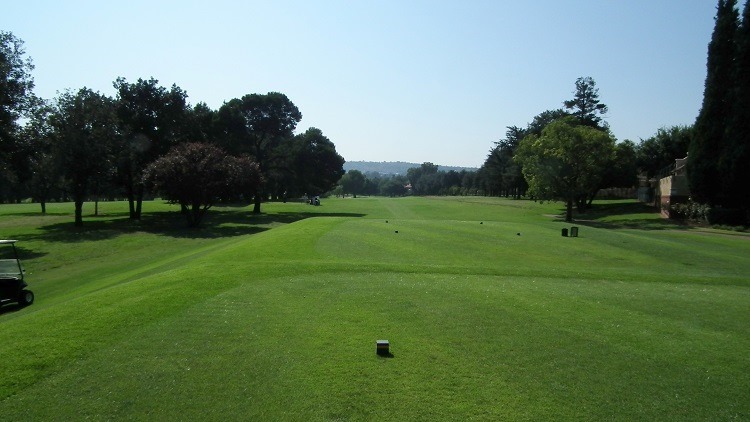 Looking down the second fairway from one of the alternate tees…. 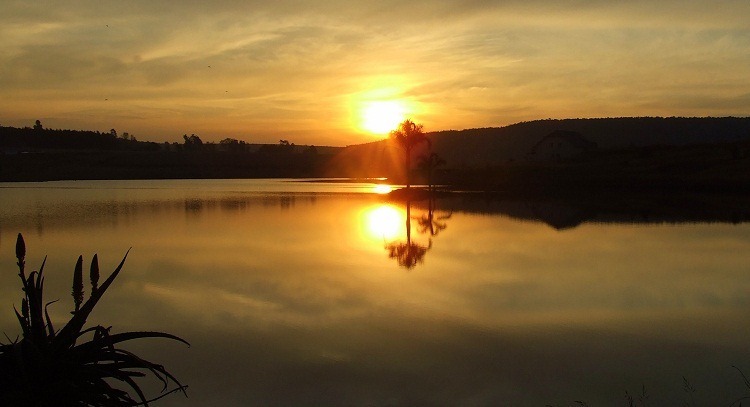 I was the Course Superintendent at this course when these photos were taken, my early rising was often met with sunrises of the following…. 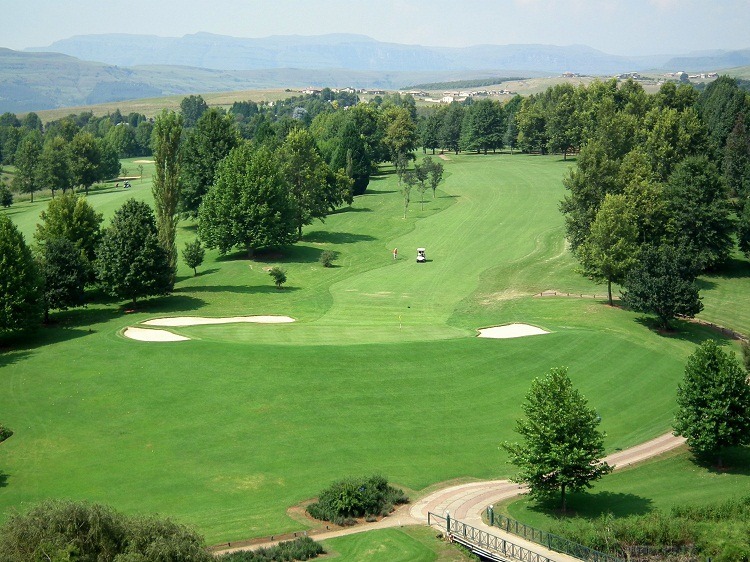 Situated in the tranquillity of the Central Drakensberg, boasting the most spectacular view of Champagne Castle and Cathkin Peak, lies Champagne Sports Resort. 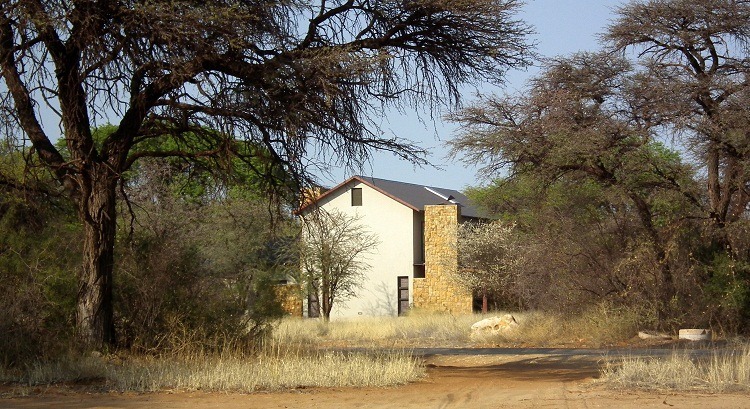 This cosy hideaway’s unique combination of convenient location, country club atmosphere, luxury accommodation and friendly staff makes packing your bags to leave this eternal place a challenge. 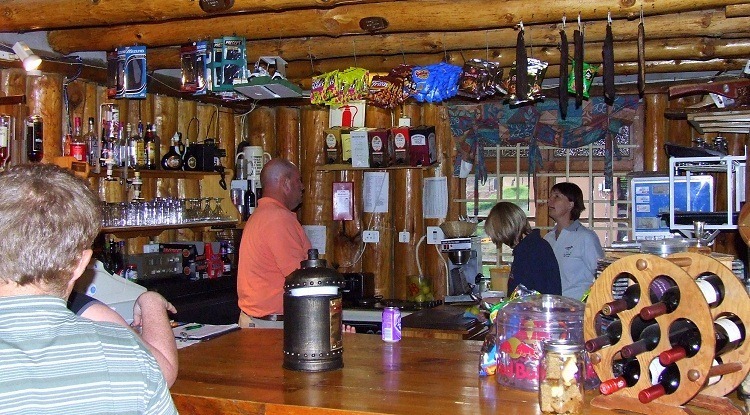 Champagne Sports Resort is more than a hotel in the mountains, it is an experience. 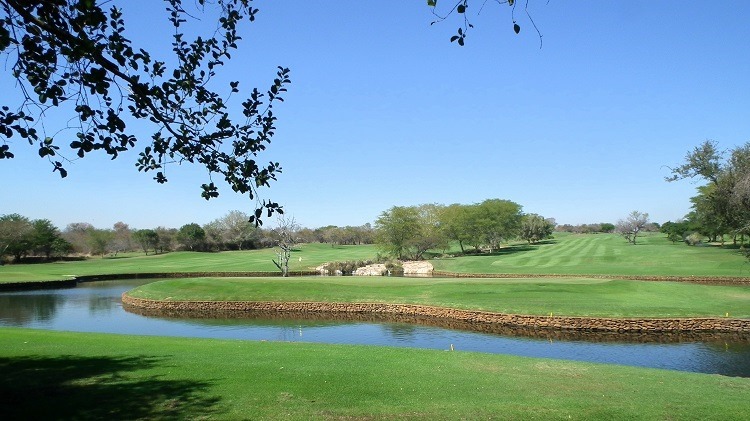 From the 18-hole championship golf course to the roaming herds of Blesbok and the rare birdlife that inhabit the estate, there is something for everyone to enjoy. 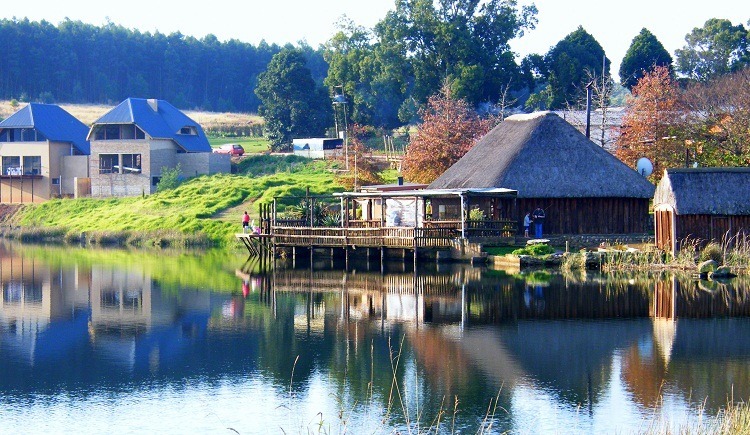 And, with five dams stocked with bass or trout, as well as outstanding sporting facilities and cultural activities, this enduring resort provides a balance between recreation for sports enthusiasts and tranquillity for those seeking relaxation. 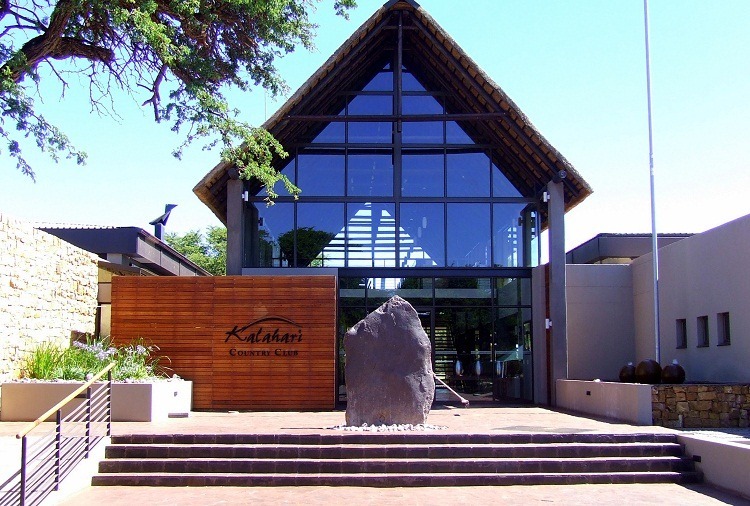 Only a four-and-a-half hours drive from Johannesburg and 2-hours from Durban, the resort is ideally situated for both relaxing leisure weekends and for corporate conferences. 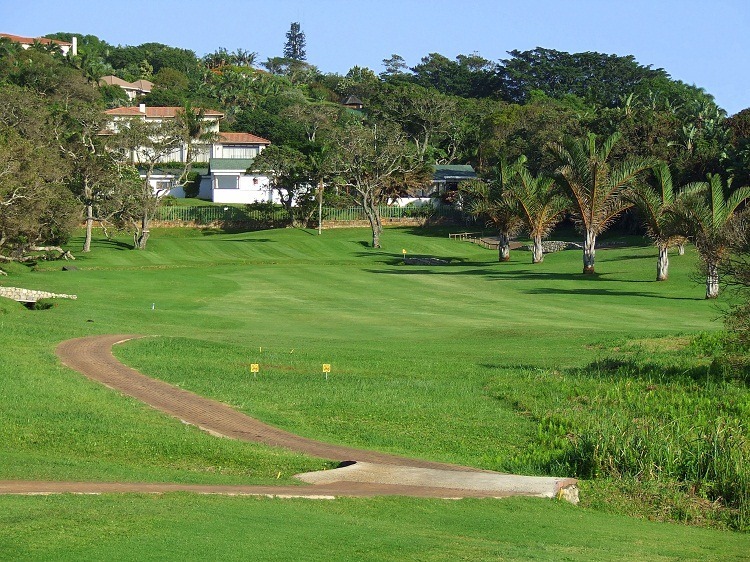 Put your skills to the test on our 18-hole championship golf course, designed by Hugh Baiocchi to provide an exciting challenge whatever your handicap. 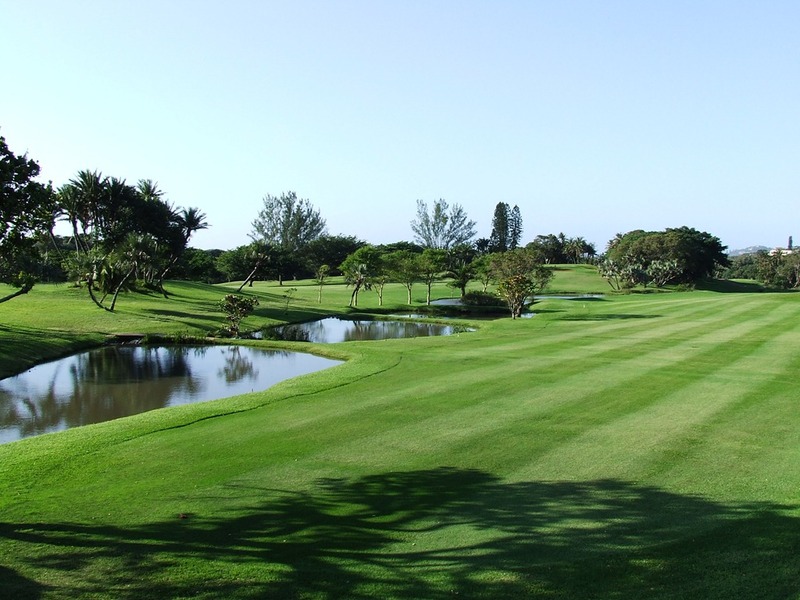 The clubhouse is easily accessible from the resort and you have access to caddies, motorized golf carts, a well-stocked Pro-Shop, as well as lessons from our Resident Professional Golfer. 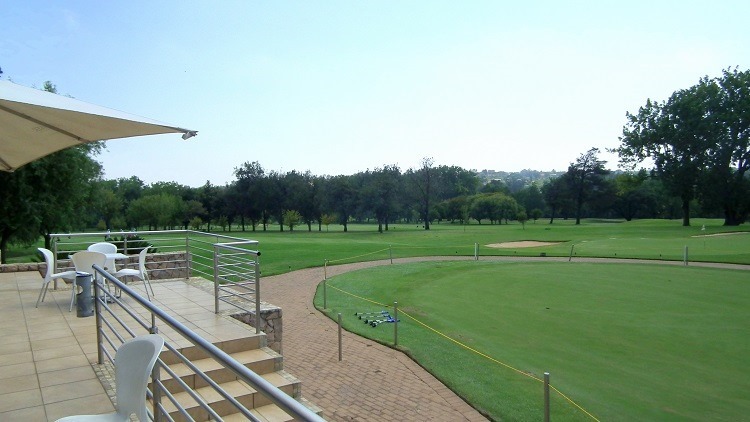 The clubhouse is also equipped with both ladies and gentleman’s locker room and a bar, and light meals are served in the golf lounge and on the magnificent veranda which overlooks the golf course and the mountains beyond. A Golf Hole with a view. 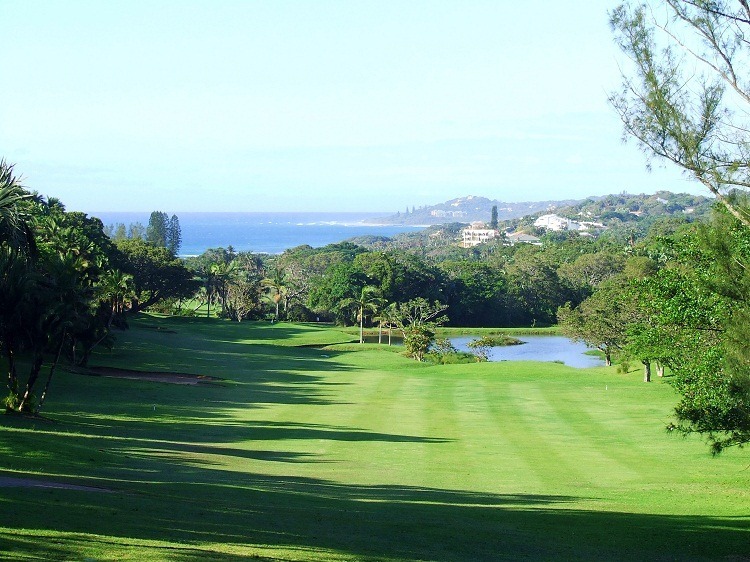 Southbroom Golf Club on the South Coast of Kwazulu Natal in South Africa has a very unique fourth hole. 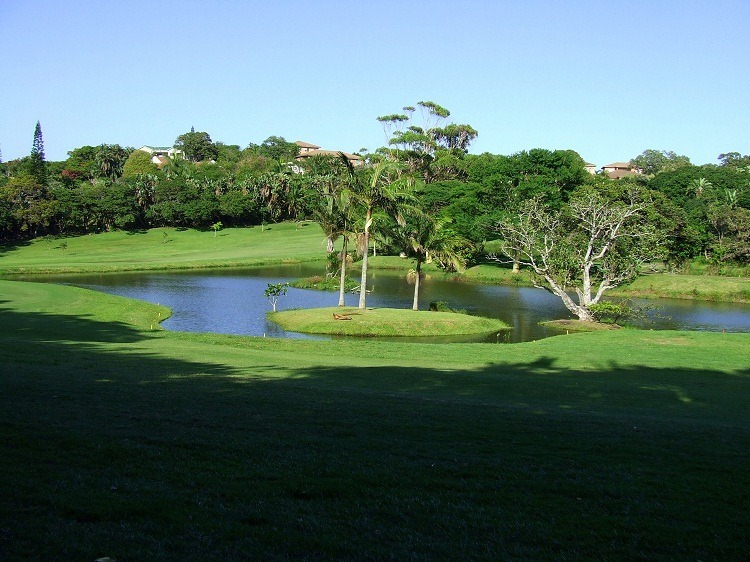 The tee off area is located on the very edge of the breaking sea. Many a golfer will take an old ball and send it flying deep into the sea. The breakers strike the base of the tee box at high tide and the view looking north in the morning is stunning. 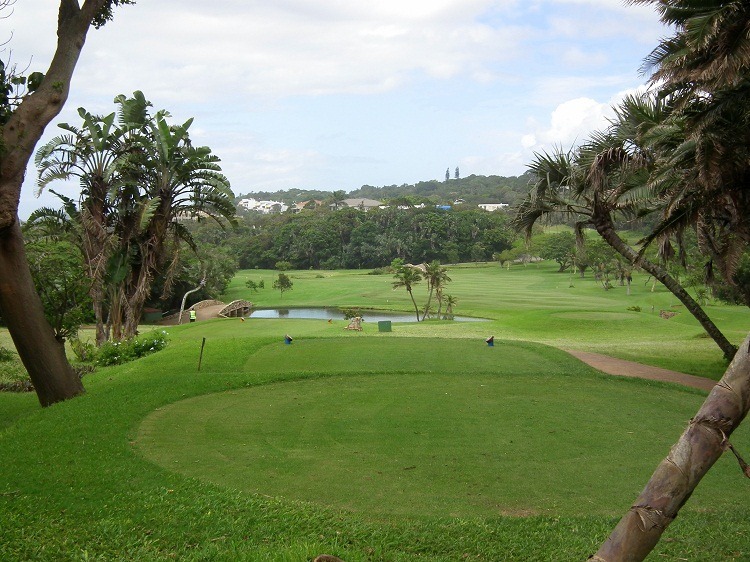 The south view of the hole gives a deceiving view of a short hole, if the wind is against you an extra 40 metres can be added to the distance. 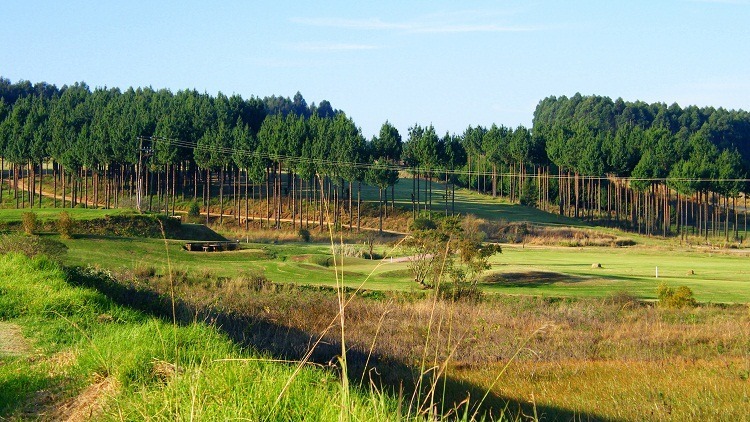 If you are ever in the area, take on this Golf Course and hope the day you choose, the wind is not too strong. 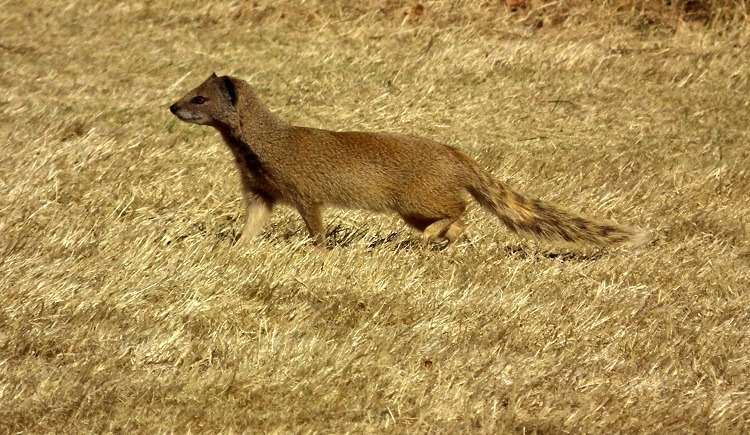 Are Keepers of the Green given the recognition they deserve? 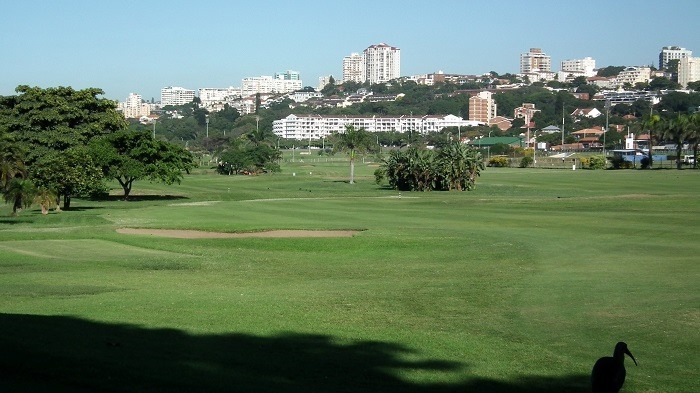 As the preparers of the turf that the Golfers enjoy given the recognition they deserve? In some cases yes, in others, the egotistical members of the committees consider themselves experts in fields beyond their comprehension. 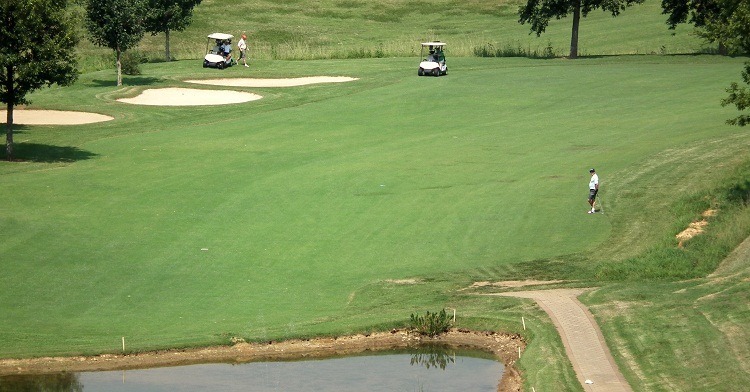 Today the expectations of committees, and golfers is for a perfect course at all times. 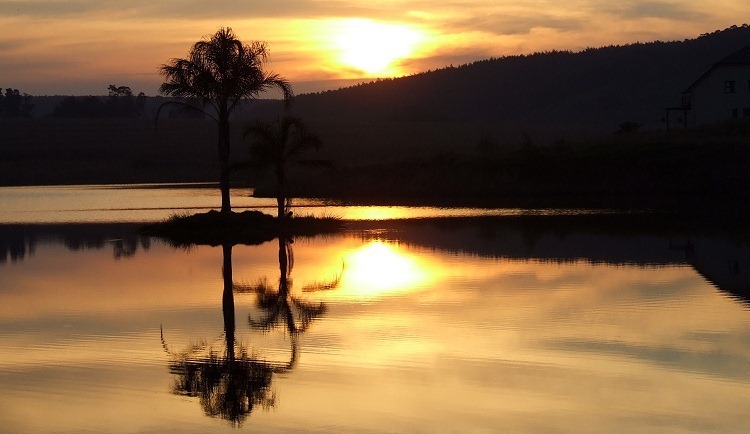 The nuances of nature, the construction of old courses and the changes of the seasons do not allow this to be possible. 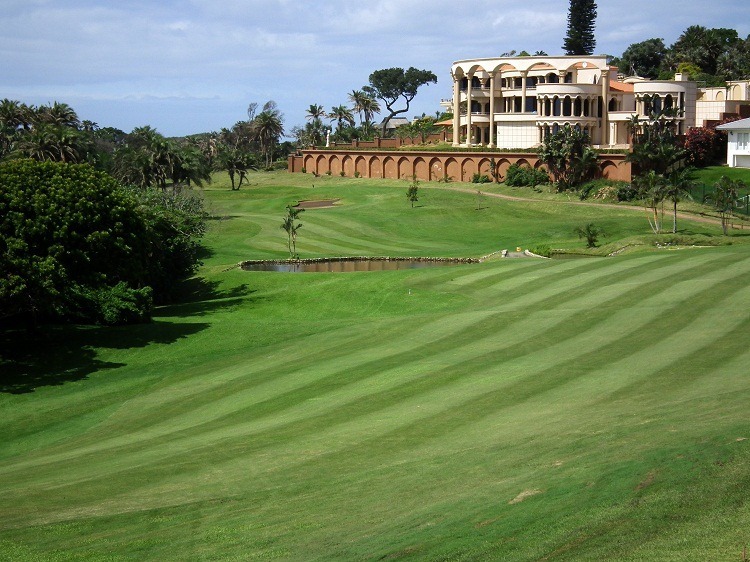 Are Green Keepers expected to control the weather, the diseases and the expectations of nature, with the controls of budgets being cut by committees more bent on self grandeur than sensibility? 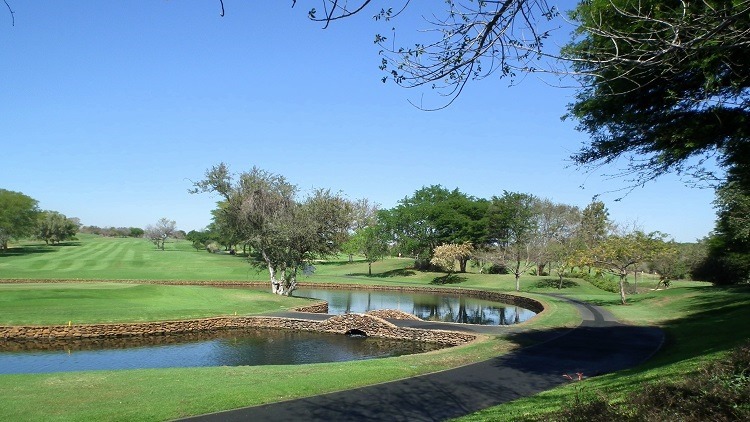 The expenditure being made on improvements to bars and buildings, while the course expected to maintain itself on reduced budgets to finance these improvements. 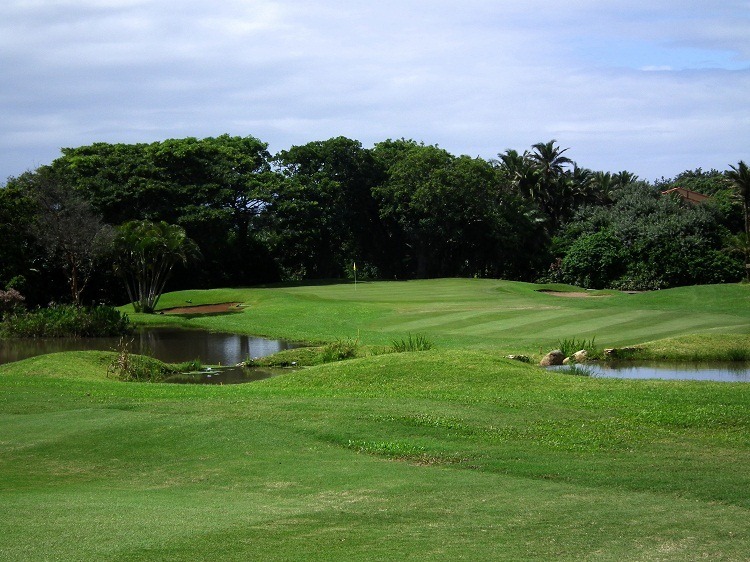 A golf Course income depends on rounds, the demands of golfers, as well as the competition between courses has reduced the players that can afford to play. 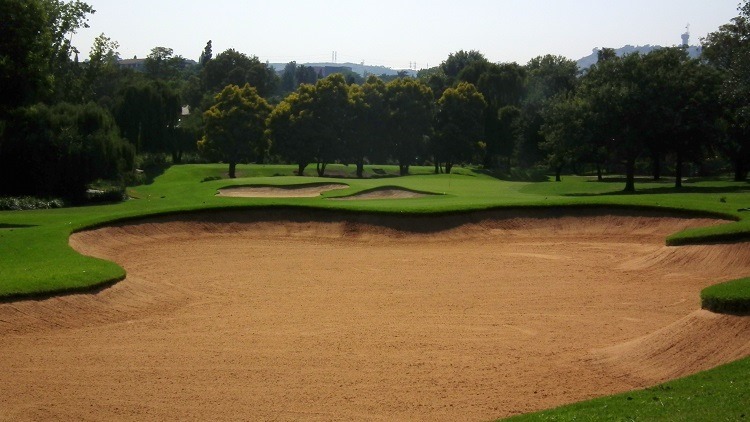 What now do committees expect to gain by reducing staff, reducing expenditure, cutting budgets and the like, whilst still expecting the course to remain in pristine condition. 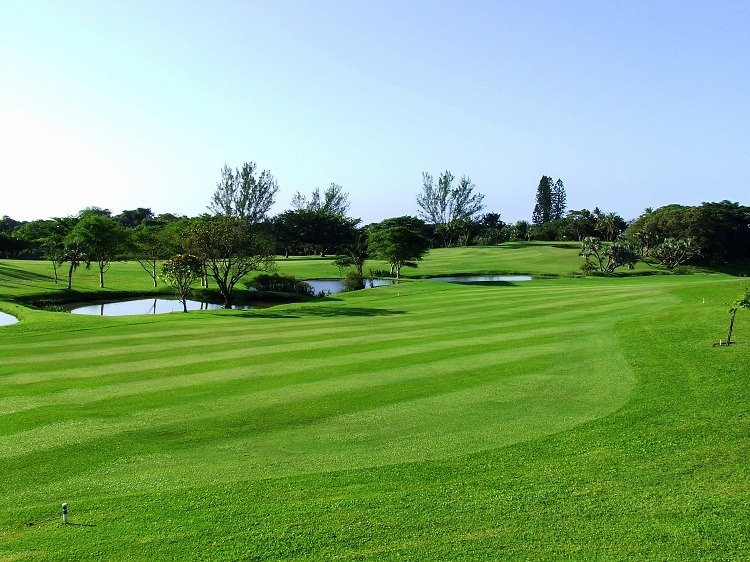 Do they fully understand what is required to keep the course looking its best, or is the “Keep” expected to wave his magic wand and all will be good. The future lies in the correct analysis of course expenditure, what do we spend our money on, and where is it actually spent. What do the differing diseases cost, not as a chemical cost but an actual cost. 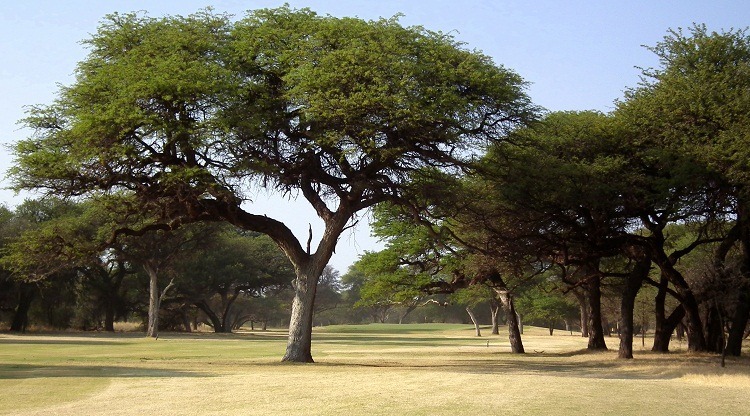 Are bunkers seldom hit worth having as hazards? 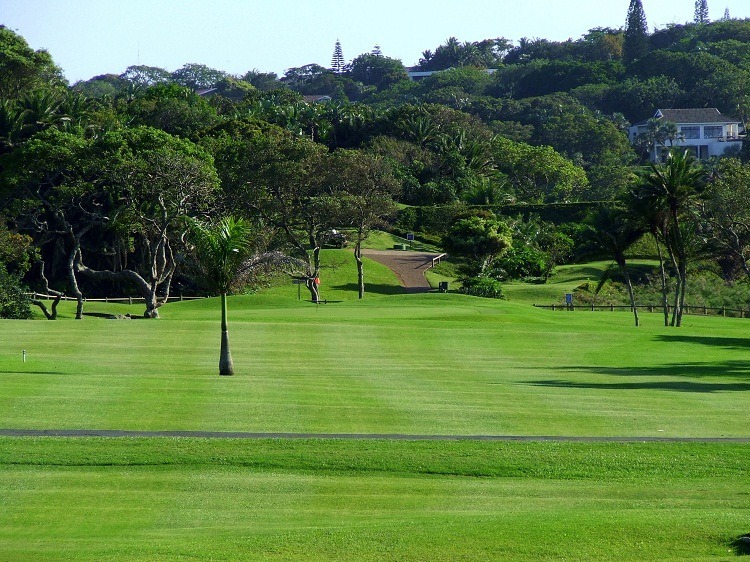 Their costing could be higher than if they were converted to a grass bunker and cut as rough. 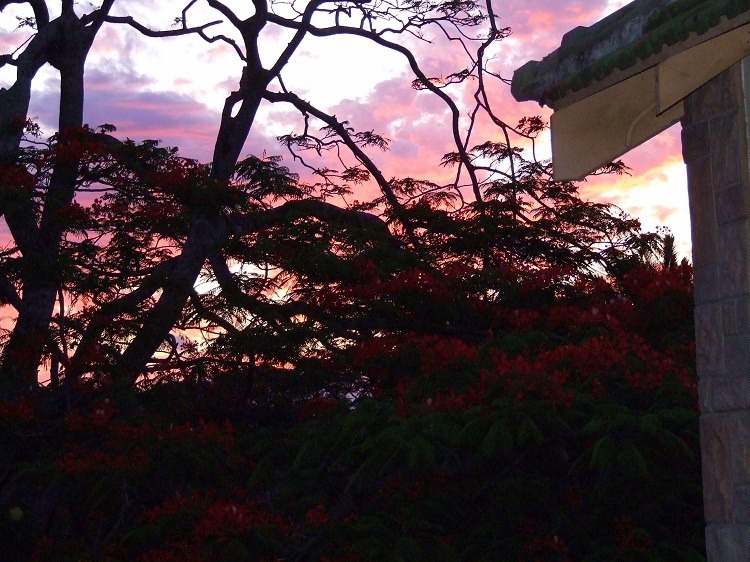 The future lies in the hands of committees, their insight into actual costs. They can tell you what a coke costs but can they tell you what a green cost? These are the controllers of the “pennies” let their future be more realistically aided in analysis and may they listen more closely to their employees when they explain the problems faced.